171B Acme Reed - Type B Fits Large Horn w/Oval Bell wa-175.5. The Type-B reed plays a raucous note. Also available in the A type reed (soft note)- under item wa-171A Click here to see more info. 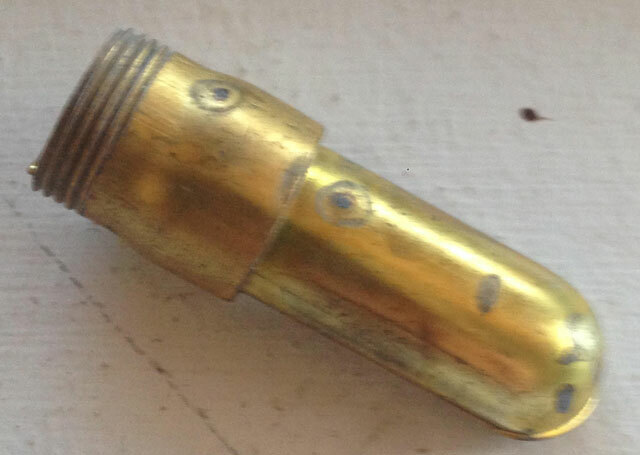 Joseph Hudson's son, Clifford Hudson, was a keen ornithologist and it was his knowledge of whistle making and a finely tuned ear that lead to the development of Acme's first brass reeded duck call in 1888. Since then the range has expanded, with additions being made in 1990 to the range of predator calls. Pigeon, dove, nightingale, curlew, quail, duck, teal and widgeon are but a few of the species that are mimicked by the still hand made, hand assembled, and hand tuned calls by Acme.